In a memo to the staff, CEO Aaron Kushner and President Eric Spitz outlines their plans to cut back the newspaper’s frequency as well as instituting mandatory furloughs, offering severance packages and a restructuring of the sales team. The memo also notes that the Long Beach Register will move from an autonomous newspaper to become a daily section in the recently opened Los Angeles Register. 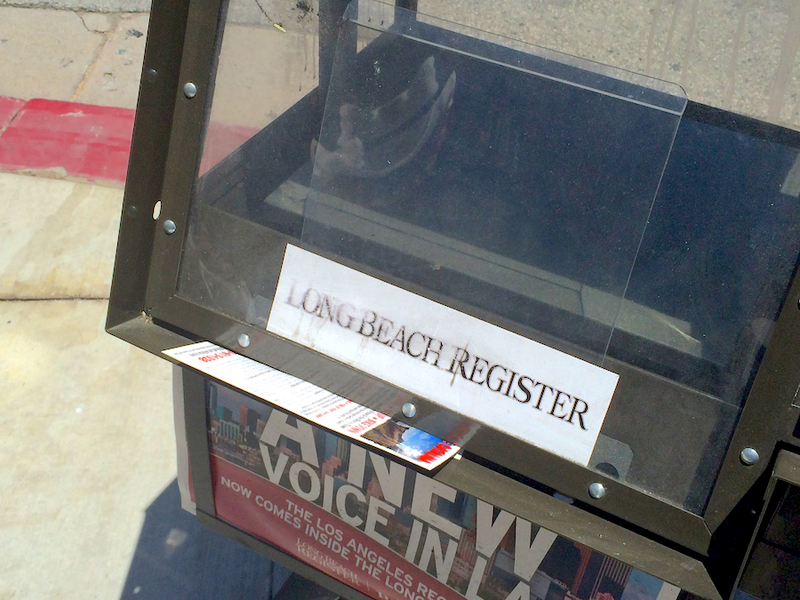 The stand-alone version of the Long Beach Register will be available in a special Sunday section. The mandatory furloughs will last two weeks in both June and July. It is unclear whether any staff members will be terminated, and Freedom said that despite the cutbacks, it will maintain its bureau in the city. “By integrating content into the Los Angeles Register, we deliver more value to subscribers by providing Long Beach content to all of Los Angeles County,” Kushner said in a press release. Last week, the Orange County Business Journal published a story stating that Freedom would be reducing the Long Beach Register’s frequency from six days a week to one and had plans to furlough an undisclosed number of staff. Freedom declined comment. Freedom acquired the Orange County Register in 2012 and stunned the journalism world when they rebuffed industry trends by investing in print and aggressively hiring in the newsroom. As of December of last year when the company announced the addition of the Los Angeles branch, Kushner had hired over 400 new employees and started more than 20 new sections. That momentum was short-lived though. In January, 32 staff members were laid off from the Orange County Register just one day after 40 people were let go from The Press-Enterprise, a daily publication in Riverside County that Kushner had acquired just a few months prior. Kushner, who had no previous experience as a publisher, was the focus of the industry that has been grappling with the downsizing of staff and a migration away from print publications. His aggressive investments were seen by many as not sustainable over the long haul. The memo addressed the notion that this was an outcome that was only a matter of time, defending the changes to the Long Beach Register as progress, not defeat. To read the full memo, look below.